Today's post is two-fold for you! I've been busy getting ready for another scrapbook retreat and recovering from last weekend. Since I wasn't able to get an Illustrated Faith Art Journal Bible Tutorial to you yesterday, I'm doubling up today. 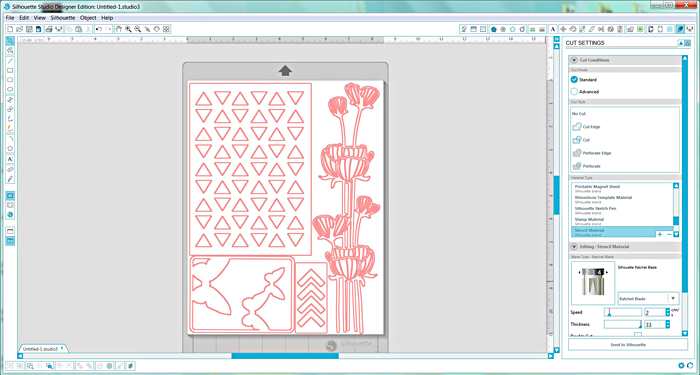 First, I want to share with you how to make your own stencils. 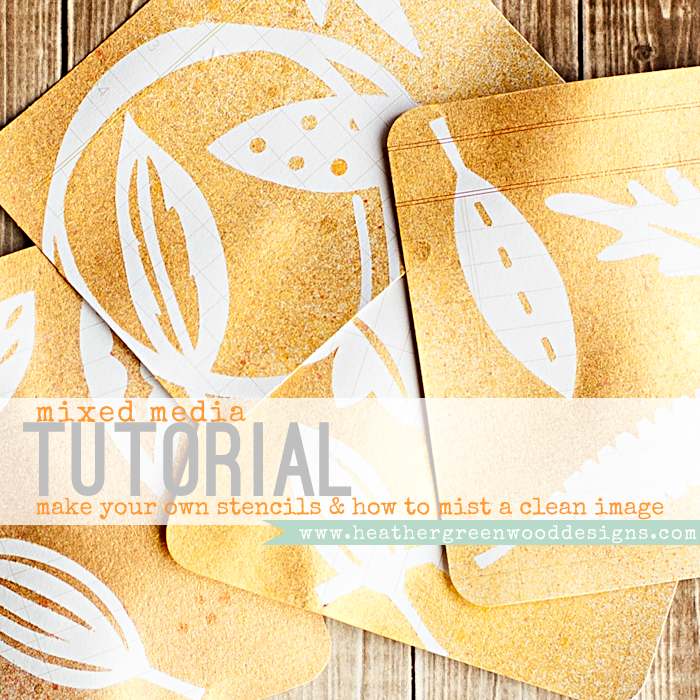 Second, I want to share with you how to mist a clean image with your stencils. I've experimented and received many questions about how to make a clean image. I can't tell you how many times I've gotten bleeding underneath the stencils and I have found the solution and am so happy with the results. Are you ready to get started? 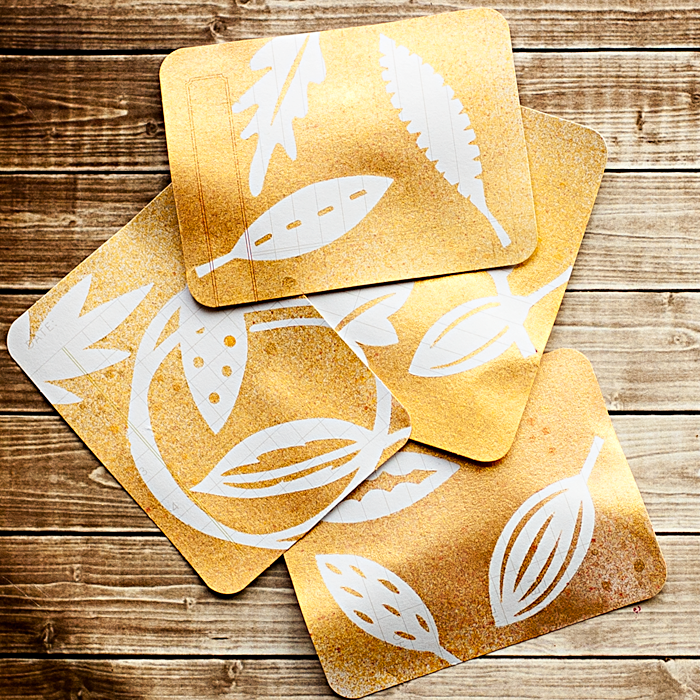 There are so many ways to make your own stencils from cutting your own with an exacto knife to using cutting machines, both manual and electric. 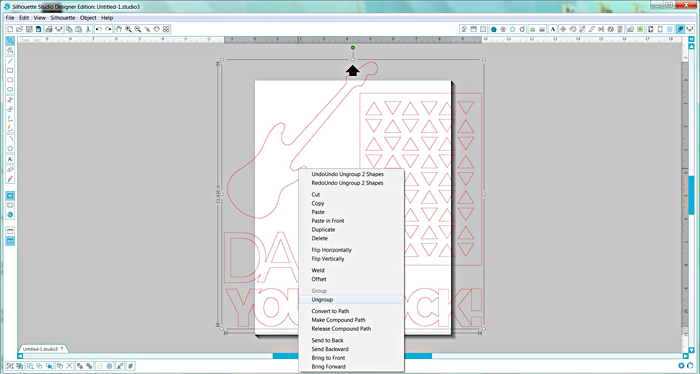 Today I'm going to share with you how easy it is to do with a Silhouette Portrait and Silhouette Stencil Material. 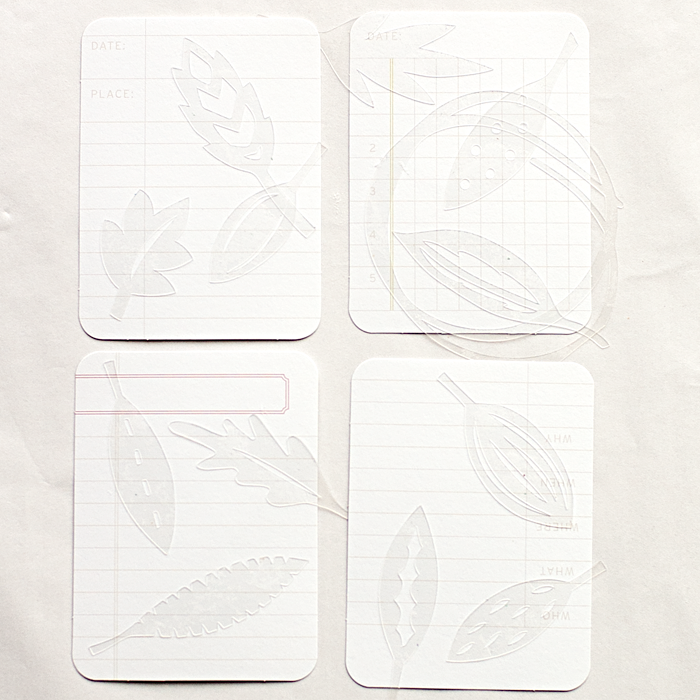 Silhouette has clear stencil vinyl that you can use for one time use, but I like the stencil material because it's reusable. You'll see in the second tutorial, why I like it so much. STEP TWO: arrange them the way you want them on your sheet, I'm all about using up as much space as possible. 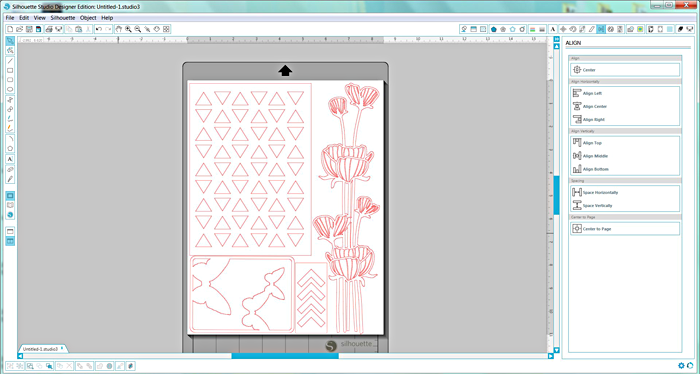 STEP THREE: go to the Cut Settings Window, select stencil material and adjust your blade accordingly. Because I'm using a Silhouette Portrait, I needed to trim the stencil material down and use it on a mat. If you are using a CAMEO, you can just load the stencil material like you would vinyl and skip trimming or using a mat. NOTE: the blade set at 3 didn't quite cut through all the way, so the next time I put my blade at 5 and it cut perfectly. I was still able to use these cuts, it just took a little muscle to break apart the little pieces from the stencil. The key to misting a clean image with stencils is adhesive. The Silhouette Stencil Material has a sticky back but it's not a permanent or strong adhesive, it's kind of like the stickiness of your mat. This way it sticks to the paper, but can be peeled away without destroying the paper and can be used again and again, like your mat. So, let me walk you through my process once I've cut them with my Silhouette Portrait. STEP ONE: Stick them on my paper where I want them placed. I'm using Project Life® 3x4 Ledger Cards. STEP TWO: Mist over the top while moving your arm across (don't spray in one spot). After 2-3 sprays, I grab a paper towel and blot. I then repeat with another color, and repeat again with a third color. 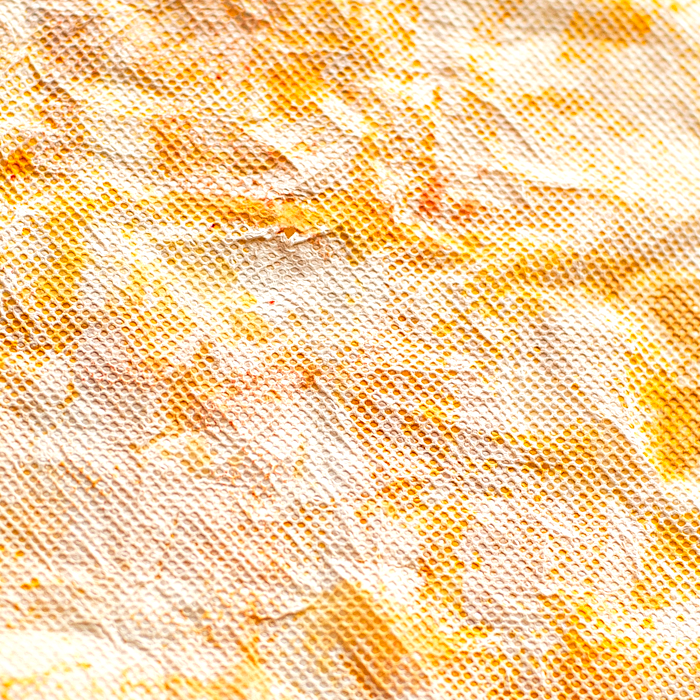 Here's what it looks like after I've done step two three times with yellow, orange and gold mist. STEP THREE: carefully remove your stencils. Look how crisp and clean the images are! YUM! Disclosure: This post contains affiliate links. I will receive a small commission on purchases made, using my link. Thank you for your continued support! 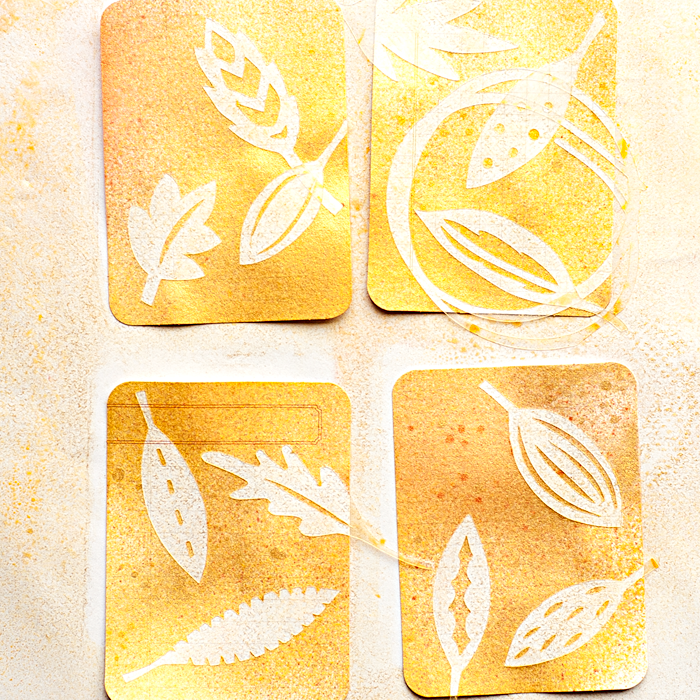 I received the Silhouette Stencil Material from Silhouette to be used in this tutorial. However, my opinions and enthusiasm for the product is my own and genuine.